Petraeus, Apple, Call of Duty, and School Photos. . . .
You know the drill here at CPYU. 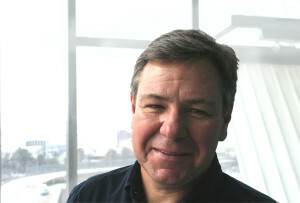 . . John Stott’s “dual listening” to both the Word and the world. . . Karl Barth’s starting the day “with the Bible in one hand and the newspaper in the other hand.” Did you happen to do that this morning? If you executed the drill with this morning’s USA Today there’s a quartet of stories that should have captured your attention. So what? What difference does it all make? These stories and others tell us much about the human condition, about ourselves, and about how we are choosing to live in God’s world. Think about it. . . In regards to the Petraeus affair. . . the high-ranking and highly-respected military leader known for his commitment to integrity and leadership had the cover blown off his affair with biographer and West Point alum Paula Broadwell. The sad, sad irony is that Broadwell has advertised herself via social media as a bigger-than-life person whose “most important title is mom and wife.” Petraeus’ own lessons on leadership begin with Rule No. 1 – “Lead by example from the front of the formation.” As with all types of affairs, this one was a bomb that was secretly built by the pair. Now that it has blown-up, countless lives, institutions, relationships, and who-knows-what-else have been changed forever. The fallout will extend far-and-wide both geographically and chronologically. These things are not at all benign. Not only should that serve as a warning to us all, but this is also a story about the universal human condition. As I tell youth workers all the time, we are all just one bad decision away from being a headline. And there’s not one of us who is above making that one bad decision. It’s been almost six years to the day that our CPYU staff sat down to talk about Gordon MacDonald’s powerful written reminder about the assassin that lives in all of us, a reminder he penned just days after news of Ted Haggard’s indiscretions broke. It reminded each of us of our bomb-building bent and potential. . . and to watch-out. . . for ourselves. Then there’s tonight’s release of Call of Duty: Black Ops II. I once had a friend say to me, “You tell me who or what you daydream about, and I’ll tell you who or what your God is.” That was a punch in the gut. We could say the same thing about how we spend our time. No, there’s nothing at all wrong with video games. As Tim Keller would say, they are a good thing. But when we make them an ultimate thing. . . or the thing around which our lives revolve. . . well, then we’ve got a problem. Finally, the story on school photos is really a story about the rapidity of cultural change. I love my old school photos and the photos of my kids. They really do tell the truth about how we changed as we grew up. . . visually at least. Sure, we didn’t like all of them and “re-takes” were many times scheduled. But there’s something real about those annual school pictures. USA Today tells us that there’s now a bias against that kind of “lowbrow” school photography shot by the guy set up in the gym. Now, people (the article says it’s mostly moms) are paying premium dollar (upwards of $700 to $1200) to hire the hip photographer who will capture their kids in ways that depict “coolness”. . . and there’s that word again. . . and there’s another look into our hearts again. What’s important to us? What do we value? What drives us? The news in USA Today isn’t really that good, is it? ← Something New From CPYU! . . . .
Walt, as always your thoughts are poignant and introspective. Thanks for pulling the covers back on what we tend to veil in thin “not that big a deal” fabric. 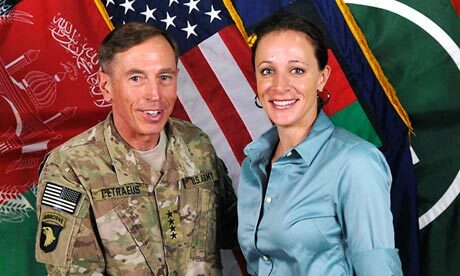 The news about Petraeus is huge, while some would call it “his business, not ours”. The news about Apple is indicative of how and why we follow the crowd, for better or for worse. And the truckloads of money being shelled out for hipster photos simultaneously a parent’s prerogative as well as deepening the lines between the “haves” and the “have nots”. Sure am glad I can put my heart elsewhere than USA Today. I was shocked when I saw the option on my 2nd grade & kindergarten sons’ picture packages to retouch and airbrush their pictures.